You're Invited to our ASBO International Kick-off Party! 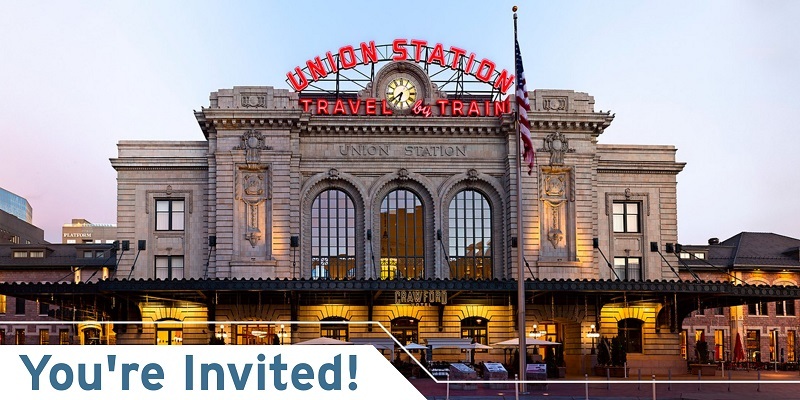 you to an ASBO International Annual Meeting and Expo kick-off party! and bring it with you to the party! Four times a year, members of the Federal Reserve (the Fed) release their projections for economic growth, unemployment, inflation, and the underlying interest rate associated with these forecasts. This interest rate projection, known as the “dot plot,” serves as a guide of where the Fed expects to take interest rates over time. Whenever the Fed releases an updated set of projections, it has the potential to be a market-moving event. For this reason, the recent disparity between the Fed’s dot plot and what the bond market is actually pricing into the yield curve should be of particular interest to fixed-income investors. The saying “don’t fight the Fed” implies that investors tend to fare better when their interests are aligned with that of the Federal Reserve rather than against it. However, the bond market continues to take a less positive view of the economy than the Fed. Unfortunately for those that set monetary policy, the market’s pessimistic view has proven to be a bit more accurate for some time now. To illustrate, in December of 2015 the Fed raised its target rate for the first time in seven years. From the Fed’s perspective, the rate increase was warranted by the steady improvement in the labor market and confidence that inflation would gradually rise towards its 2.0% target over time. Moreover, the accompanying dot plot projected four additional rate increases in 2016. However, the bond market wasn’t buying it. When the Fed first released the dot plot in January 2012, expectations for rate hikes were priced far into the future. Now, every Fed meeting is assumed to be “live” where the decision to raise rates could occur at any time. The Fed’s message has been garbled at times, but it has stressed a desire to move away from time-based forecasts to analyzing the current economic conditions before acting. For example, the labor market has recovered to its pre-crisis level, and the Fed is keenly looking for signs of inflation before pressing on with further rate increases. While probably wise to not “fight the Fed,” we must simply realize that these dots are not carved in stone. As before, the Fed is still a bit more optimistic, and we have seen two rate increases so far this year. According to the dot plot, one more hike is projected for this year, but the market based probability for another rate increase before year end is less than 50%. Just keep in mind that either position could be correct, as it all depends on the future performance of the economy and relative stability of the financial markets. Cash flow analysis, also known as cash flow forecasting, is an estimate of receipts and disbursements during a given period. When executed properly, it can lead to the optimization of investment choices while insuring liquidity needs are properly met. As experienced professionals in this area, Public Trust Advisors, LLC (Public Trust) is here for you and happy to help set you on a better course for your short-term investment needs via a well-thought-out cash flow analysis. Below are some key points and recommendations regarding the creation of an optimized cash flow analysis model for your organization. Managing liquidity is a simple but important function. It is important to make sure invested funds are properly managed. Cash flow analysis and liquidity management are different but work well together. Cash flow analysis serves as the basis for proper liquidity. How much cash is available? When will it become available? The best format for you will depend on the size of your organization, the volume, and the complexity of transactions. One of the most popular types is the annual forecast. Others include monthly and weekly forecasts and project-based forecasts. For more detail, please reference the Government Finance Review’s article “Liquidity Management Made Easy.” Finally, Government Finance Officers Association recommends the following six steps for a cash flow analysis. These steps are shortened for length, but you can read the full version here. Create a pooled portfolio of operating funds across all funds excluding unspent bond proceeds. Consider historical information and projected financial activity. Compare cash flow results with projections and determine reasons for differences. Make conservative assumptions on analysis and update them regularly. Monitor cash positions daily to ensure sufficient liquidity. Use an appropriate tool for conducting a cash flow analysis. If you have any questions, please click here to contact a Public Trust investment professional in your area! All comments and discussions presented are purely based on opinion and assumptions, not fact. These assumptions may or may not be correct based on foreseen and unforeseen events. The information above is not a recommendation to buy, sell, implement, or change any securities or investment strategy, function, or process. Any financial and/or investment decision should be made only after considerable research, consideration, and involvement with an experienced professional engaged for the specific purpose. Past performance is not an indication of future performance. Any financial and/or investment decision may incur losses. You're Invited to the Big Party! TWO raffle tickets. Families welcome! We are excited to see you while you are here for GFOA. Make sure to stop by our headquarters during your visit! Click here for more details. Investment advisors, like Public Trust Advisors (Public Trust), may select different methods of determining the value of assets held within local government investment pool (LGIP) portfolios for reporting purposes. The two most common methods used to report on the assets of the portfolio are mark-to-market and amortized cost...So which is better? While both methods are acceptable, in our opinion mark-to-market (Fair Market Value) provides a higher level of transparency than amortized cost. Public Trust has chosen to use the mark-to-market methodology for LGIPs managed. This methodology involves obtaining prices for securities in the portfolio on a frequent or daily basis. In the case of the Public Trust managed LGIPs, the portfolios are priced every business day. (Note: mark-to-market can be performed multiple times a day if deemed necessary by the fund manager). The prices are based on what a willing buyer would pay to a willing seller for the individual positions in the portfolio. Public Trust, in its role as administrator, believes that this information is exceptionally useful to both the investor and investment manager. When completed routinely and while using prices from reliable sources, readers of the financial statements gain an understanding of the liquidity and credit quality of the positions in the portfolio. Mark-to-market reflects current economic and monetary cycles which may have a direct impact on the underlying values of the portfolio. Changes in the rating or perceived credit quality of the insurer will also be immediately reflected in the value of the securities held in the portfolio. Alternatively, LGIPs employing the amortized cost method adjust the value of the securities in the portfolio daily by a predetermined amount from the purchase date to the maturity date. This method produces very predictable asset valuations regardless of current economic or monetary cycles. The predetermined value may or may not reflect the actual price achievable in the open market. As a result, many LGIP portfolios which utilize the amortized cost method will still use mark-to-market periodically to more accurately reflect the actual prices. While amortized cost and mark-to-market can approximate one another during periods of stability in the financial markets, the results can be much different during times of stress (take for example, the financial crisis of 2008). Most LGIPs maintain sufficient cash to meet investors’ request for funds, however uncertain cash flows can happen and are more likely to develo p during times of economic uncertainty. At any given time, the investment manager may need to sell individual securities in the open market. Mark-to-market methodology allows both the participant in the LGIP and the investment advisor to determine the possible gain or loss to be realized from selling the securities in the portfolio. We believe that the mark-to-market methodology gives the users of the financial statements a much better understanding of the structure and quality of the portfolio. At Public Trust Advisors, we believe that transparency is a critical component of the investment of all public funds, and mark-to-market is essential to that transparency. *All comments and discussion presented are purely based on opinion and assumptions, not fact. These assumptions may or may not be correct based on foreseen and unforeseen events. The information above is not a recommendation to buy, sell, implement, or change any securities or investment strategy, function or process. Any financial and/or investment decision should be made only after considerable research, consideration and involvement with an experienced professional engaged for the specific purpose. Past performance is not an indication of future performance. Any financial and/or investment decision may incur losses.